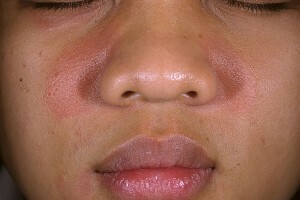 Seborrheic Dermatitis on face is a red itchy rash which could also look like dry flaky scales. Do you know what is the best treatment for seborrheic dermatitis on face? The skin problem has symptoms similar to other skin problems that occur on the body or scalp such as eczema, psoriasis or allergies. It is more common in newborn infants and adults aged between 30 – 60 years. More men than women suffer from this condition as well as people ho have oily skin. 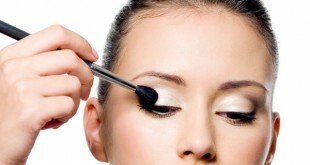 It mostly affects the face, around the nose, on the eyelids and behind the ears. Other names used to Seborrheic dermatitis refer to are seborrheic eczema, cradle cap, dandruff or seborrheic psoriasis. Repeated treatment can help to get rid of the condition successfully though not a guarantee that the condition will not arise later. The condition can last for varied periods of time with varying severity. 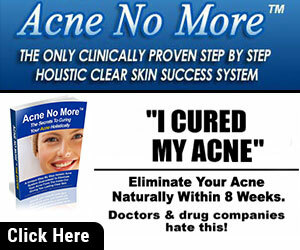 One may get a recurring infection of flare –ups even after completely removing it using home remedies or medication. Seborrheic dermatitis is caused by a variety of factors and may be a combination of several such as stress, genes, bacteria on the skin, skin infection, diseases and or medicines and unfriendly weather. Contrary to popular opinions, it is not caused by allergies or ineffective hygiene. The causes of seborrheic dermatitis are apt to speculation especially because its signs are so similar to other conditions affecting the skin. 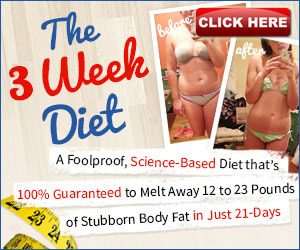 Some people have associated the condition with deficiency of certain nutrients like zinc. In other cases, it is found to be a reaction to yeast that is naturally present on the skin and scalp. Reaction to yeast that is present on the skin when it produces substances that are toxic and irritant on the skin. Many human problems have a genetic correlation. Genes, environment, diet and immunity have been associated with seborrheic dermatitis. 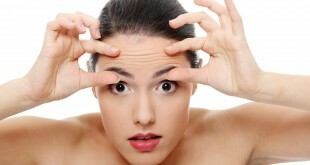 It can be made worse by stress, weather, fatigue, skin care products and general health issues. These signs and symptoms of seborrheic dermatitis on face are similar to many other skin conditions. It is therefore important to consult a dermatologist to diagnose and get the right treatment. The dermatologist will examine, assess your past medical history and give the right treatment for it. Other parts of the body that can get affected are the chest, buttocks, around the navel, the skin folds under arms and legs, around the groin, below the breasts. On babies, it is easy to confuse it for diaper rash. Skin flakes will be in visible areas such as on your hair, eyebrows, mustache or beard. On greasy skin, it appears as yellowish scales on greasy skin. Seborrheic dermatitis will mostly affect the skin folds near the sebaceous glands. Dandruff is mostly topical and the skin flakes can be brushed off. The symptoms for both are almost similar with the exception that dandruff can occur even on dry skin. Dandruff is loosely used to refer to the whitish flakes that characterize seborrheic dermatitis and other dry skin conditions. Seborrheic dermatitis is common on the scalp but can also affect the face, back, upper chest and other parts of the body. It is attributed to fungi and effective treatments are those with anti fungal properties. It does not affect your health though its appearance will be uncomfortable and unsightly. It is also not contagious and does not necessarily indicate allergies or lack of hygiene. It can lead to hair loss, with some patients having bald patches. In dandruff, the white scales may be all over the hair, while in seborrheic dermatitis they would attach to the hair shafts. Severe cases may occur whereby scaly pimples also appear on the face along the hairline, on and around the nose and other parts of the body. There are different over the counter solutions to handle seborrheic dermatitis on the scalp such as creams, ointments, lotions and shampoos. Due to the wide range of causes associated with seborrheic dermatitis, treatments ranges from antifungal products, medicated shampoos, Corticosteroid lotions and sulphur based products. 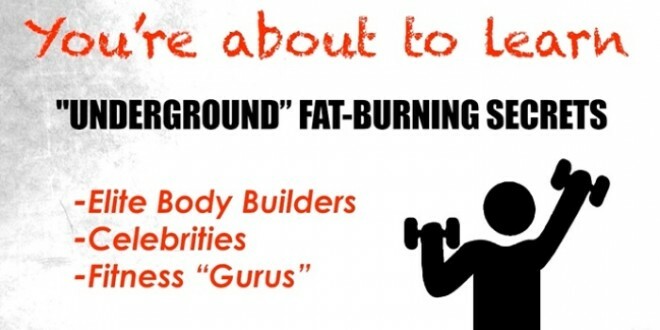 It may be important to combine different treatments as well as a change in lifestyle in order to get best results. The key ingredients in substances that claim to get rid of seborrheic dermatitis on face are Ketoconazole, Coal tar, Salicylic acid, Selenium sulfide or Zinc pyrithione. If you are reacting to the elements, protect your body by wearing warm clothing, sealing off the prone areas like the face. It is easier to remove seborrheic dermatitis on other parts of the body rather than the face. Because the face is the window of the body, care should be taken to avoid using harsh products that might react and cause more problems. Often seborrheic dermatitis on face clears up without any intervention. In some people however, it becomes a lifetime problem that must be handled by medical intervention. While it is not always necessary to get professional treatment, you should not ignore the effects your condition has on your self esteem, your skin health. If you keep trying home remedies to treat seborrheic dermatitis on face with no success, if you are not able to focus on your daily activities, it is best to see a dermatologist. Some medications that have been useful in containing the prevalence and severity of seborrheic dermatitis are topical corticosteroids, antifungals and keratolytics such as ketoconazole and ciclopirox. Though it can last for long periods of time, a good skin care routine can help to manage the condition. Double washing, steaming and exfoliation are some of the best measures to maintain essential hygiene. If the itching is too much, take an antihistamine to reduce the inflammatory properties.